LUCKNOW: The birth of Sita from an earthen pot points towards the concept of test tube baby in ancient India. 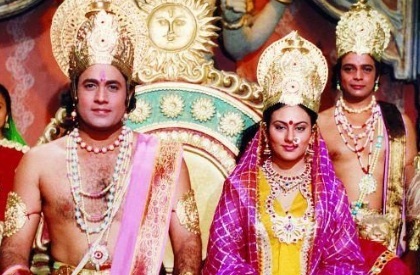 Dinesh Sharma, the Deputy Chief Minister of Uttar Pradesh, has said this and suggested that in the era of Ramayana, there was the technology similar to that of test tube baby. "When we think of Sita's birth from an earthen pot, we can understand that there might be a project similar to the birth of a test tube baby, going on then", said Sharma, who was addressing a gathering. Sita, daughter of Raja Janak, was married to Lord Rama. In Hindu mythology, it is mentioned that the King Janak ploughed the field and found her in an earthen pot. However, no one had equated the belief with modern science. Of late, several BJP leaders have made statements, suggesting that modern science and technology was present in India in the ancient era--5,000 years ago or even earlier. Sharma is just one among several such leaders. Also, he further said that journalism began in India thousands of years ago and that Narada was the first journalist. He also said that Google has come now, but such technology existed here in olden times. The chief minister of Tripura, Bilplab Kumar Deb, has faced flak for his statements too. The leaders assert that there was missile technology in ancient era, as also other scientific inventions.